To York Gardens Library for the happiest event I have attended as a councillor. After an extraordinary community campaign – and against the odds – this outstanding library was saved from closure earlier this year. 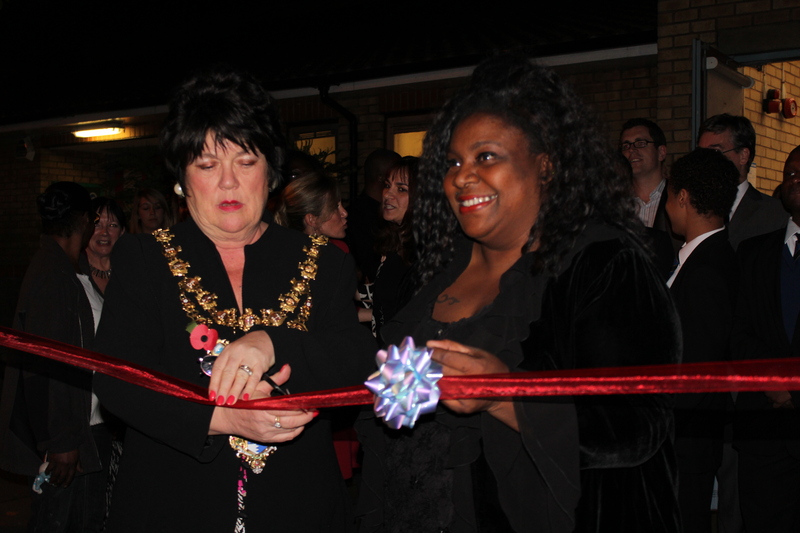 After refurbishment, it was re-opened to the public by the Mayor of Wandsworth on the evening of November 1. Councillors Leonie Cooper and Sheila Boswell, who ran the libraries campaign in the Town Hall through a series of highly-charged committee meetings. The campaign began almost exactly a year ago. For reasons that are still unclear, the council targeted York Gardens Library and community centre for closure, despite the fact it is the most-needed library in the borough. In February we held a Save York Gardens Read-In: Polly Toynbee, Arthur Smith, Emmy the Great and their famous friends created a literary masterpiece. A particular highlight was actor Sam West’s barnstorming speech in favour of public libraries (you can read the full text here) – his proud parents, the actors Prunella Scales and Tim West, listened from the audience. 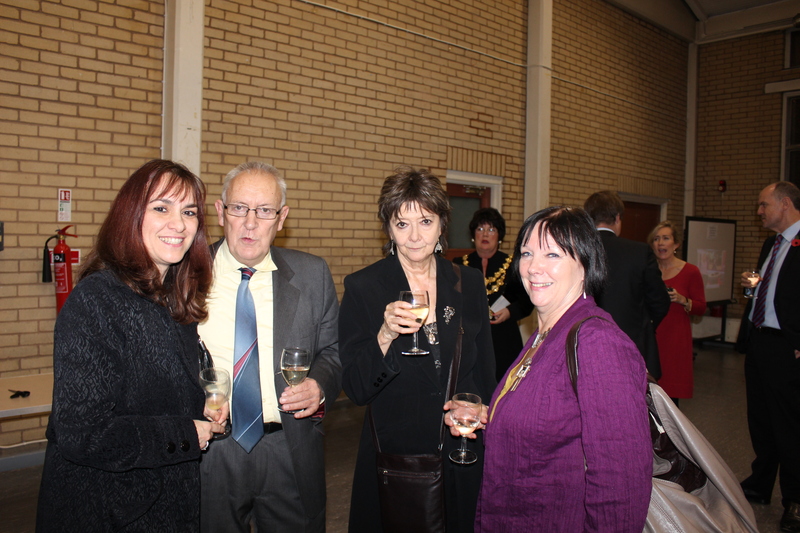 Labour Party deputy leader Harriet Harman attended a fundraising dinner we organised at the library in March. Our campaign featured on Channel 4 News, in the local newspaper and in the Guardian and the Independent. 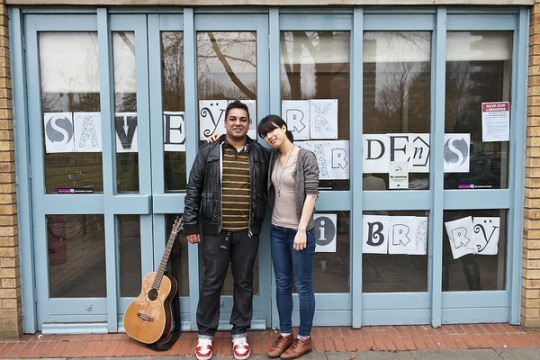 Eventually local residents convinced the council to keep the library open and – in a second significant victory – to also retain the community hall. If I achieve nothing else in the rest of my time on the council, I will be more than happy with the fact that children on the Winstanley Estate still have a quiet, safe space to learn. The estate is in the 1 per cent worst areas in the country for deprivation affecting children. However, York Gardens Library must prove it can stand on its own two feet in the next six months, or the ‘Big Society’ experiment will end. So if your evening class is looking for space, or if you need to hire a venue for a birthday party, please support your local library. This entry was posted in Uncategorized by Simon Hogg. Bookmark the permalink. I think that we should not forget that the original project, developed under the Labour Council, was for a community centre. A community group worked hard with the Council’s Architect to design the building, spending hours visiting other community centres around London to avoid mistakes made with other designs. It was the local community group which applied for and gained funding to build the upstairs as a youth centre and to employ a youth worker to run the centre. The community centre opened with a community worker tasked with developing local adult groups and the youth worker operating the youth centre. However, with the change of power in Wandsworth, all the hopes and work of the local group was destroyed and the Council decided that they would close a nearby library and move it into York Gardens, taking over the building. They now wonder why there are problems in the local area and are even, madly, considering closing York Gardens Adventure Playground. At what stage do the present majority party Councillors consider the difference between the privileged lives of their children and those of the less fortunate. I hope they don’t complain when their houses are broken into but understand that, unfortunately, it could be a consequence of their own behaviour – that is not to say that I would go anywhere near approving iillegal behaviour.